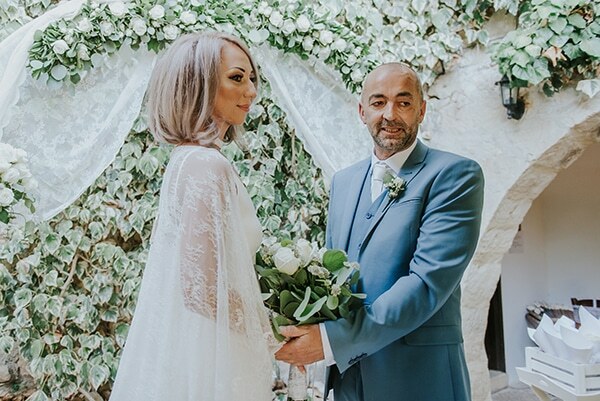 This wedding was an intimate celebration of the couple’s love! 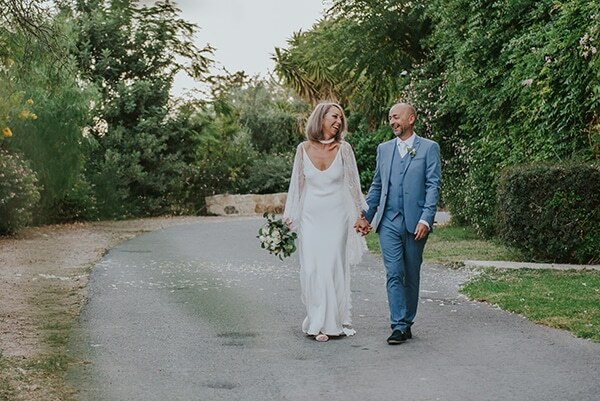 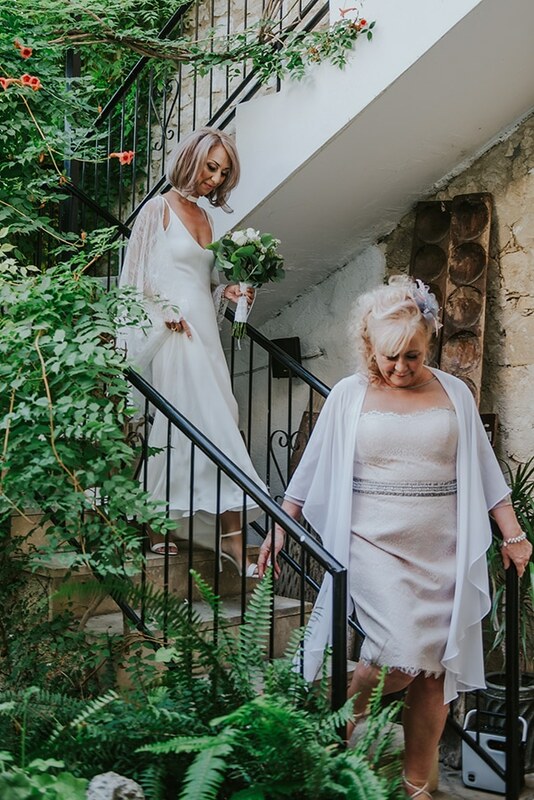 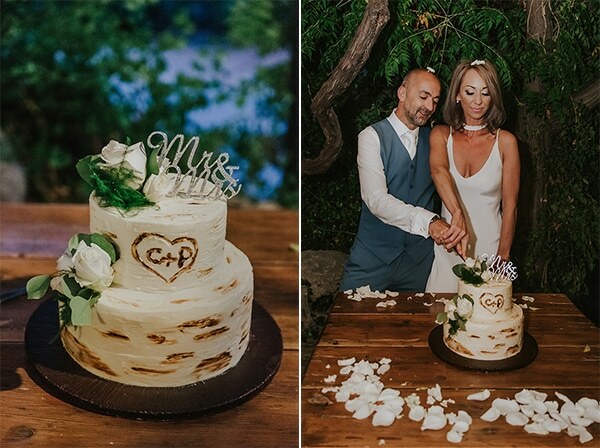 Claire and Paul picked Cyprus for their wedding because of the sunny weather, the natural beauty and the stunning locations. 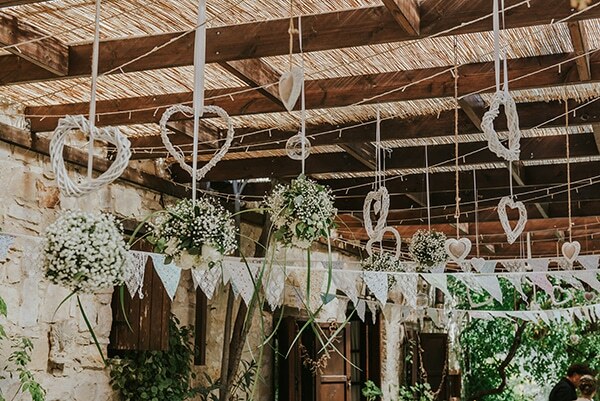 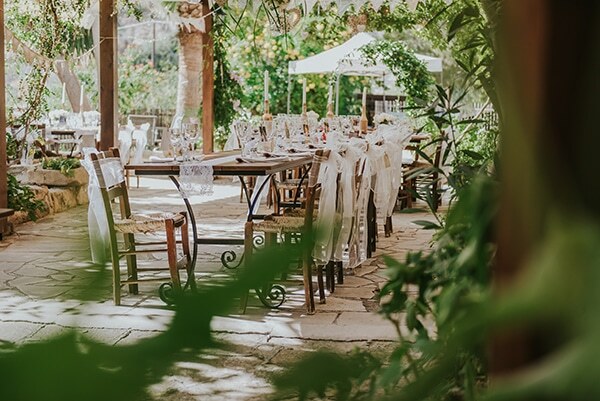 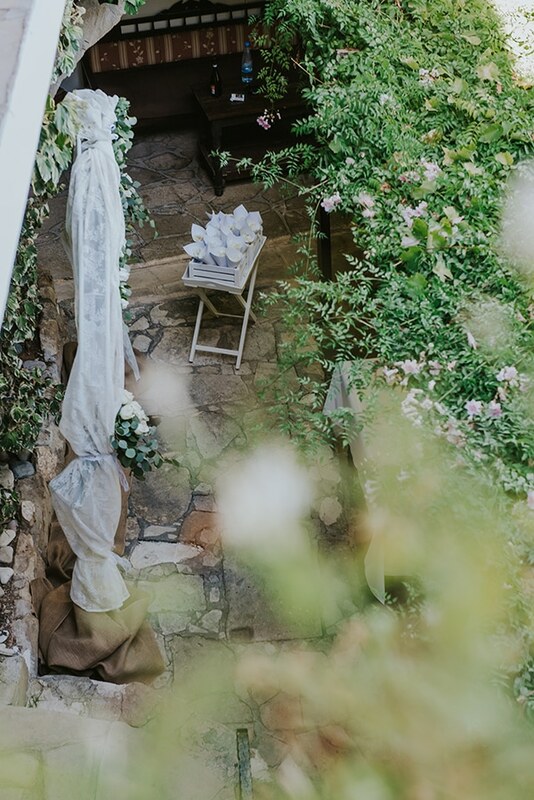 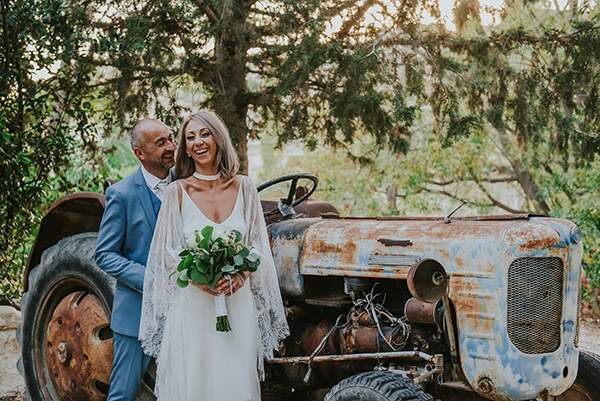 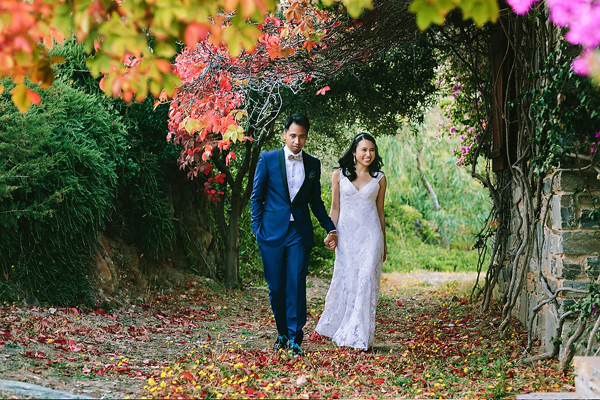 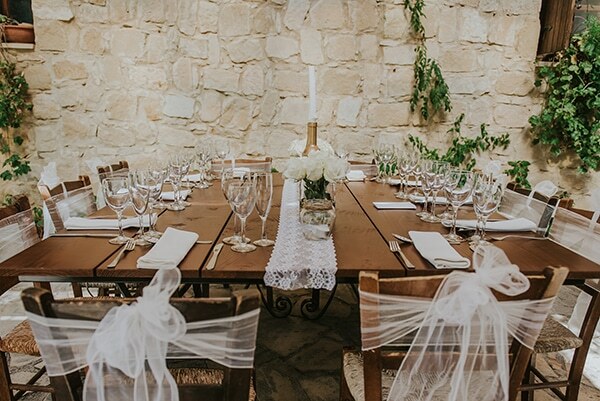 Their wedding took place at “Nikoklia”, Paphos, a traditional village with fairytale, greenery landscapes. 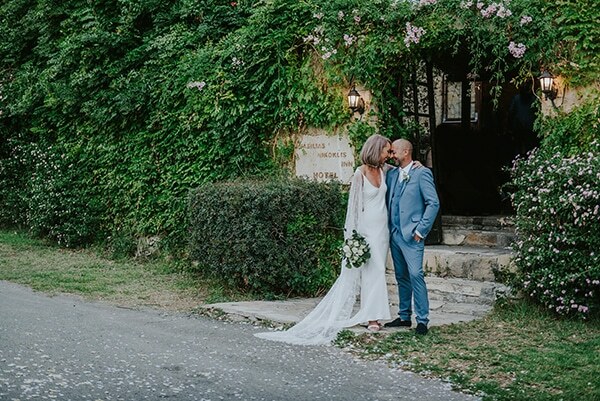 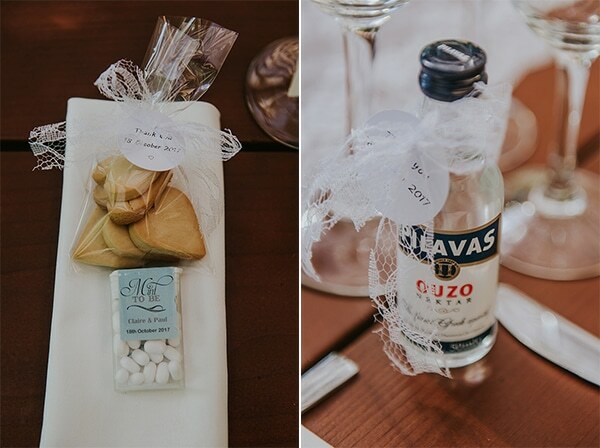 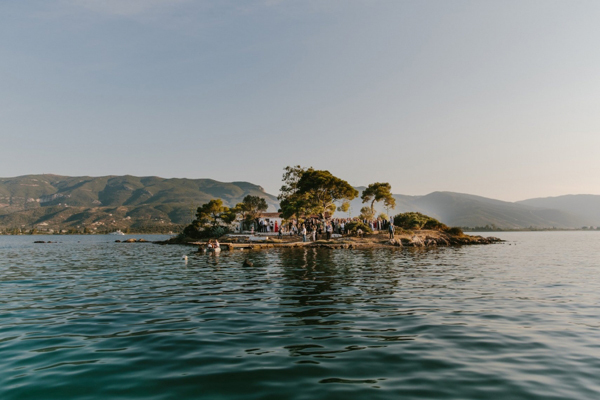 The Vasilias Nikoklis Inn was the ideal venue for a friendly, intimate wedding just like the couple dreamed. 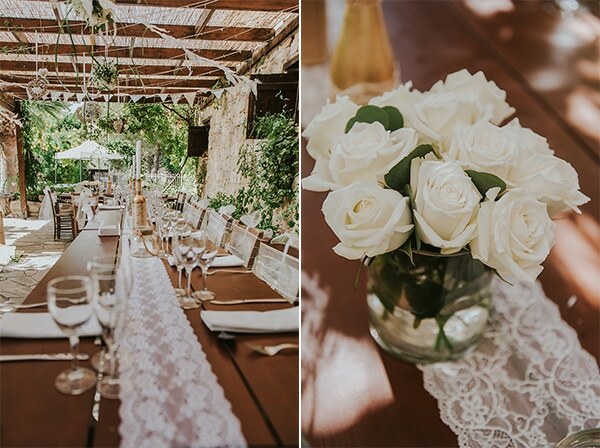 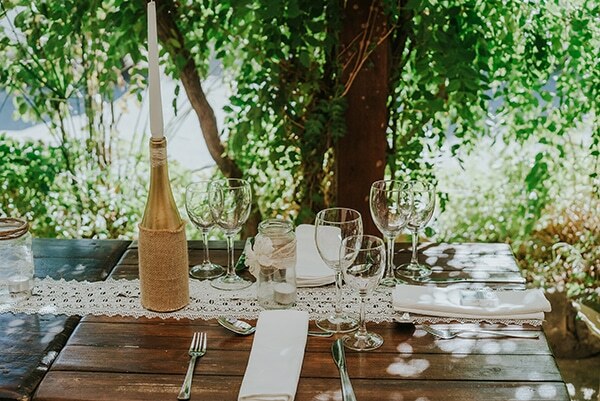 The courtyard of the hotel was decorated with wooden tables with lace table runners, candles, white flowers, lots of greenery and other flower arrangements hanging around. 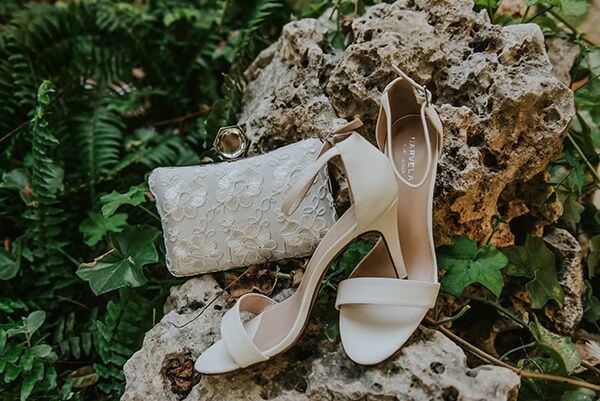 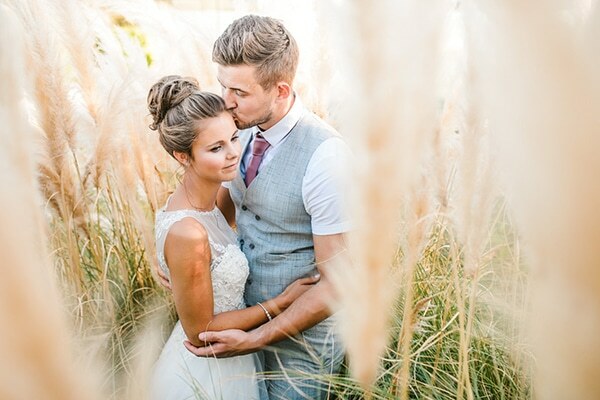 Enjoy the prettiness of this romantic wedding through the following photos! 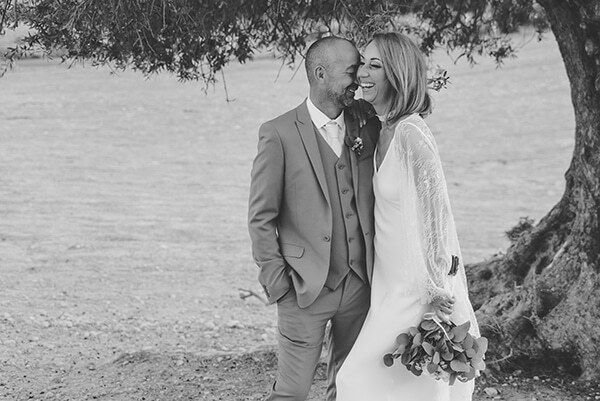 “We met at the Grand National Race Day at Ayr… we hit it off straight away but didn’t see each other again for a while! 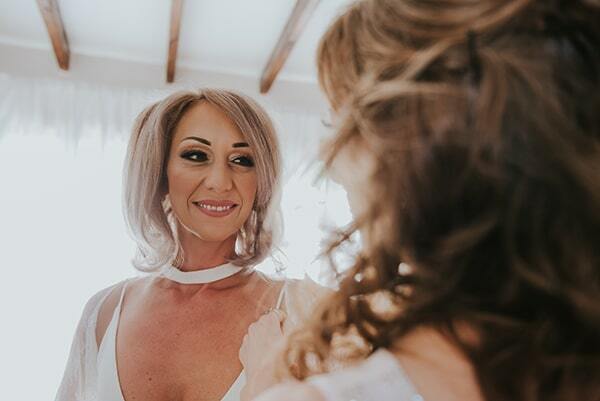 Then we met again months later and we knew we were definitely interested in each other… Paul and I started having a few secret dates and quickly fell for each other. 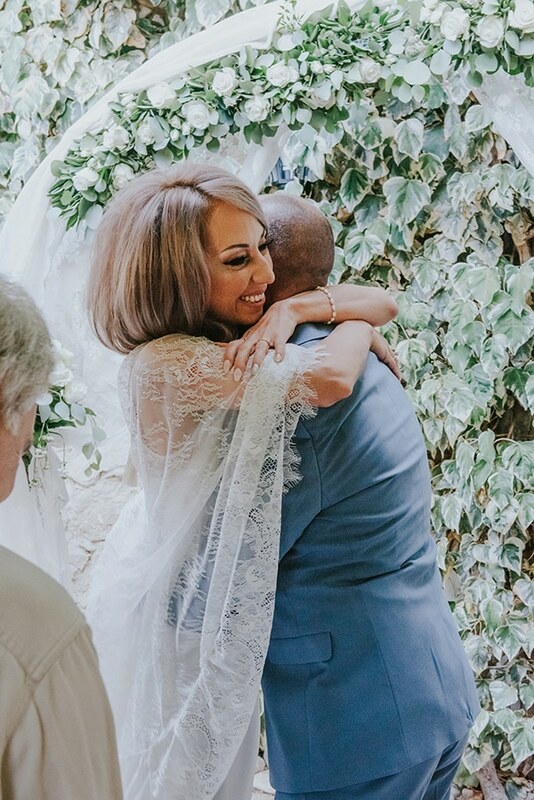 He totally won me over, he was so funny and entertaining! 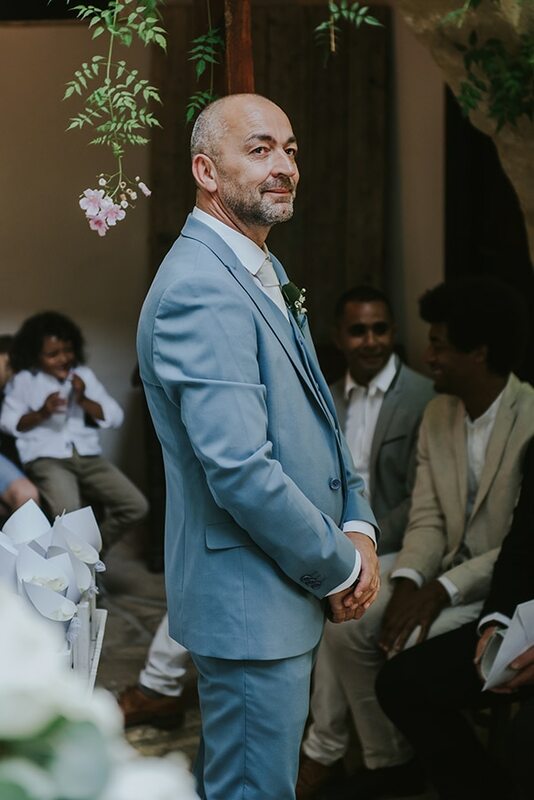 He was also very romantic (although wouldn’t admit it to most). 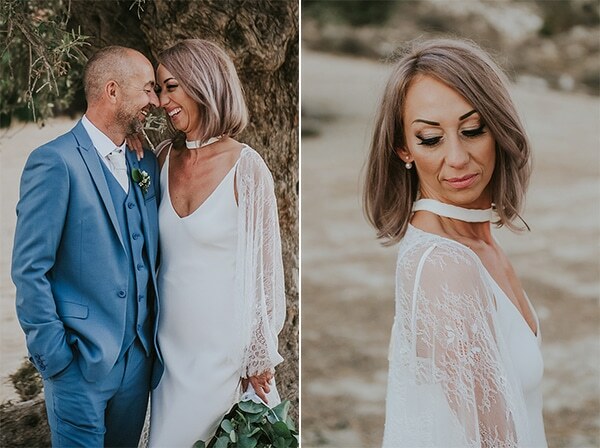 It wasn’t long until we were totally loved up and having babies together! 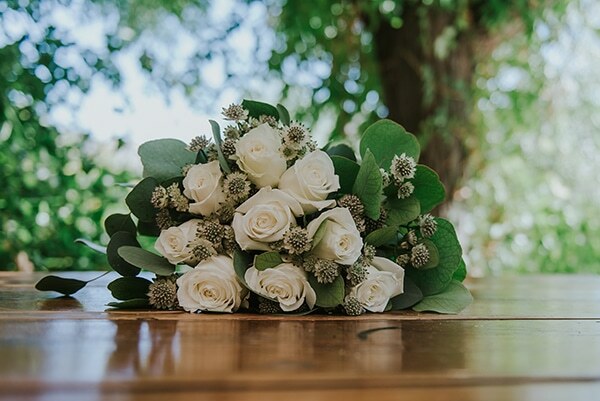 We finally got married after 11 strong years together”, the bride shared with us.